The evaluation after Eicma 2017 is more than positive for Termignoni. The latest international exposition for motorcycles and cycles has proved to be the most expected event of the industry. Public attendance grew by 24% compared to previous years, and the number of exhibitors increased, with a 20% leap forward. 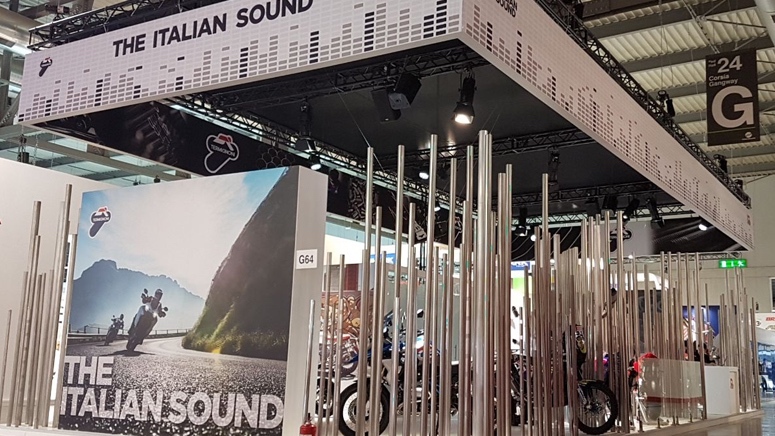 We had the pleasure to be present once again at the annual Eicma appointment to launch in absolute preview the new Termignoni exhaust models for bikes and scooters. As always, it was a real emotion: even this year many special guests came to visit us at our stand: the Honda Rally team riders; Redondi and Guarneri of the Honda RedMoto Enduro team, who dedicated an exclusive autograph session to all their fans; Vanni Oddera, who came to compliment us for the video where he is protagonist of breathtaking scene; the British Superbike champion Shane “Shakey” Byrne, accompanied by his faithful Ducati Panigale 1299 with Termignoni D170 exhaust. At Eicma we presented all the latest news from Termignoni 2017. Among the top products, the D181 exhaust system for Ducati Supersport (which you will have soon more details about) and the exhaust for the Yamaha TMAX and Honda X-ADV scooters, appreciated with great enthusiasm by a passionated audience. Great curiosity also for the new UpMap features. For this occasion, the dedicated team made app demonstrations for visitors.